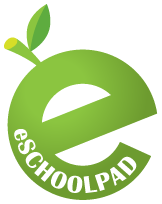 eSchoolPad(ESP) is the best Mobile Device Management (MDM) product for schools and parents by merging mobile device solution, learning management solution, mobile application management (MAM) and parent app into a single unique platform. eSchoolPad is also an innovatice solution that enable schools to embrace mobile and cloud soultions to drive eLearning efficiency and students’ growth. Using our eSchoolPad alongside Apple Classroom app gives you even more possibilities for learning at every level. We are the unique suite which fully support all platforms of Apple iOS, MacOS, Android and Windows. ESP is the 1st local Mobile Device Management (MDM) product for schools and parents by merging mobile device solution, learning management solution and parent app into a single unique platform.